As of writing this weather news update, Tropical Depression Quinta has slowed down while approaching Coron, Palawan, according to PAGASA. All public storm warning signal now lowered. PAGASA Weather Bulletin as of 5:00 a.m.today, " the center of Tropical Depression "QUINTA" was estimated based on all available data at 40 km Southwest of Coron, Palawan (11.7°N, 119.9°E) with maximum sustained winds of 55 kph. It is forecast to move west at 17 kph. 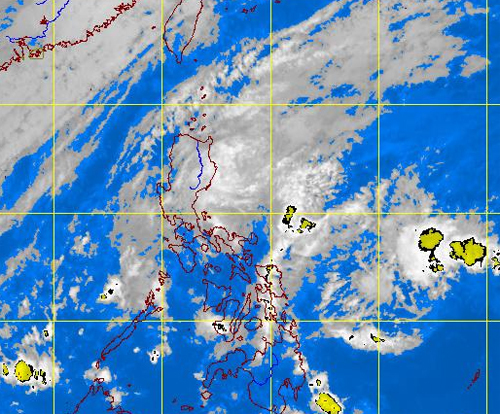 Northeast Monsoon affecting Luzon." PAGASA forecaster Manny Mendoza said in an interview on dzBB radio, "Ito'y bumagal habang papalapit sa Coron ... Ang Metro Manila umaambon, may kaunting epekto ang bagyo dahil kaulapan ni Quinta at northeast monsoon may combined effect sa Metro Manila." Comments or suggestions about "Tropical Depression Quinta Update December 27, 2012" is important to us, you may share it by using the comment box below.